The sparring during Thursday’s Democratic presidential debate between Hillary Clinton and Bernie Sanders over whether Henry Kissinger is an elder statesman or a pariah has laid bare a major foreign policy divide within the Democratic Party. Clinton and Sanders stand on opposite sides of that divide. One represents the hawkish Washington foreign policy establishment, which reveres and in some cases actually works for Kissinger. The other represents the marginalized non-interventionists, who can’t possibly forgive someone with the blood of millions of brown people on his hands. Kissinger is an amazing and appropriate lens through which to see what’s at stake in the choice between Clinton and Sanders. But that only works, of course, if you understand who Kissinger is — which surely many of today’s voters don’t. Some may only dimly recall that Kissinger won a Nobel Peace Prize for his efforts to end the Vietnam War (comedian Tom Lehrer famously said the award made political satire obsolete), and that he played a central role in President Nixon’s opening of relations with China. 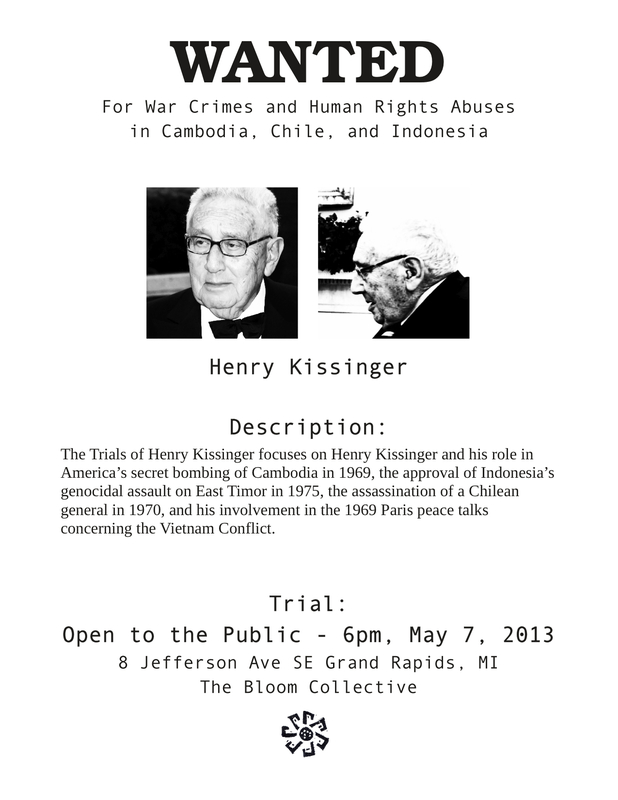 But Kissinger is reviled by many left-leaning observers of foreign policy. They consider him an amoral egotist who enabled dictators, extended the Vietnam War, laid the path to the Khmer Rouge killing fields, stage-managed a genocide in East Timor, overthrew the democratically elected left-wing government in Chile, and encouraged Nixon to wiretap his political adversaries. First, let’s review what happened at the debate. Here’s the video, followed by the transcript:..